A proud new mother has found an endearing way to celebrate women and their role in history – by dressing up her baby daughter as some of the world's most iconic female figures. 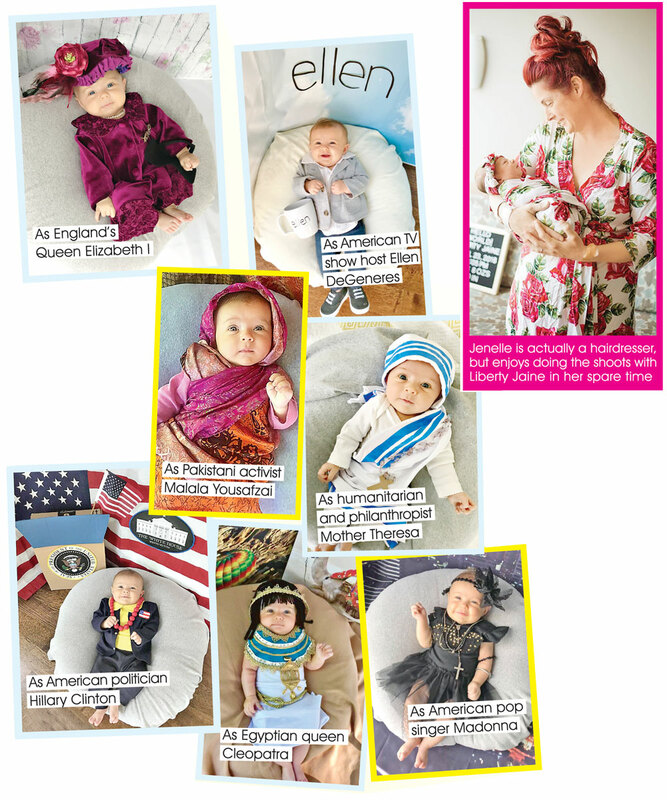 Chicago-based creative Jenelle Wexler, 36, has made outfits for little Liberty Jaine Wexler aged four months, so she can pose as a little Queen Elizabeth II, Audrey Hepburn, and Cleopatra. She has a small sewing studio in her spare bedroom which allows her to quickly design outfits of dresses, jackets and scarves from recycled items. One adorable picture shows Liberty Jaine dressed up as Frida Kahlo – a Mexican artist who painted many portraits, self-portraits, and works inspired by the nature and artifacts of Mexico. “I first came up with the idea to shoot Liberty as Frida Kahlo as I thought the two had similar physical features,” Jenelle said. “The shots came out wonderfully, and it was soon after that I thought about other women in history that have contributed to the betterment of women and people as a whole. The hairdresser has snapped more than 30 characters using her baby doughter, including Marie Curie, Madonna, Malala, Coco Chanel, Hillary Clinton, Dolly Parton, Mother Theresa, and Betsy, to name a few.